We'll look at how well your content is performing in the eyes of Google, and how it stacks up against your competition. We'll determine your current use of landing pages, content and forms to capture your visitors' contact information. We'll understand how you're deploying email nurturing and dynamic content to deliver a flow of timely content that will nurture prospects until they are ready to buy. We'll analyse whether your website services existing customers, and suggest ways to integrate technology in order to better your customers' experience. Need an effective marketing strategy that will genuinely help you grow your business? Need value for money with tangible results? Book a call with our consultant to find out what improvements your business could make in order to generate a predictable pipeline of high quality leads. We'll give you free, actionable tips that you can take away and start implementing yourself. Jack is our business development manager. 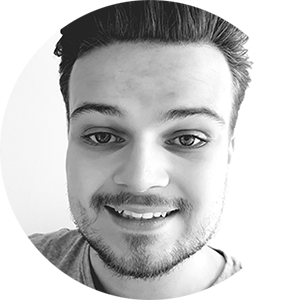 He consults with technology, professional service and industrial businesses with high-growth ambitions to help them realise how inbound marketing can help generate more qualified leads.